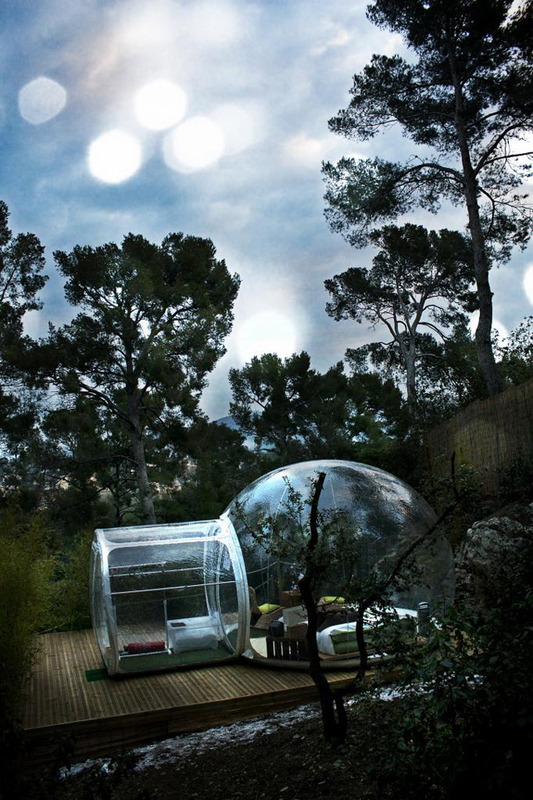 Maybe you have, or maybe you haven't seen this little family of bubble rooms - but now, after the recent opening of two hotels in France, you can make one of these translucent huts yours for the night! 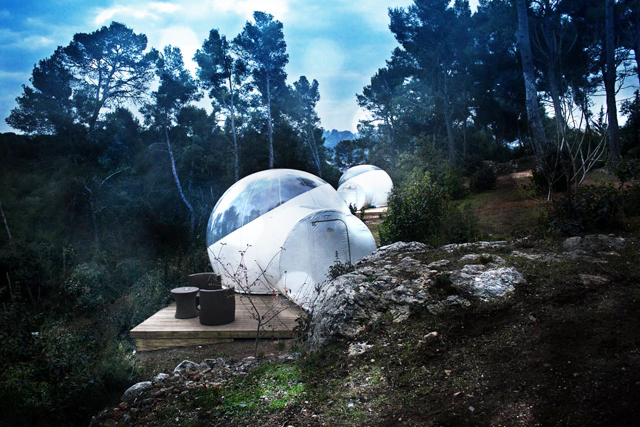 Attrap’Rêves in Bouches-du-Rhone (near Marseille) and Sky River outside of Loir-et-Cher are the two hotels that let you sleep under the stars. 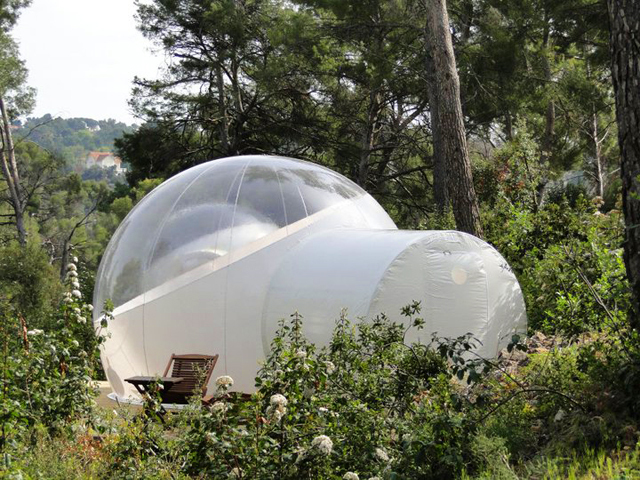 The concept came from French designer Pierre Stéphane, who wanted to create a Eco-friendly space, in that once the bubble is folded up, nature remains the intact. The bubbles are small and cozy, about 13 feet in diameter. Some are fully transparent, while others allow a little more privacy and are half opaque. Now, let's be straight with one another, if you are looking to be pampered at the Ritz, these bubbles might not be for you. But if you want to live an unforgettable adventurous experience, immersed in nature, get to France! Who knows, you might wake up from that alarming dream with a bear staring you straight in the face....lets just all cross our fingers that this plastic bubble withstands bear claws.